I am a PhD candidate at the School of Communication at Simon Fraser University in Vancouver. I am working on a dissertation about 'solutions journalism.' Solutions journalism seeks to make solution-oriented frames a central part of a news story's narrative -- by reporting on responses to social problems. My turn toward solutions journalism after nearly 20 years of working in mainstream television news. For most of that period, I have worked as a television news producer with a large Canadian news organization. I have experience in every facet of television news production - and have worked on some of the most important stories of the past 2 decades. I bring a rare combination of substantive journalism experience and academic insight. My pitch to the news industry about solutions journalism is that there is a business case for this approach to news reporting. In an age of digital cynicism, more and more news readers are interested in news that goes beyond the headline. That being said - it is incredibly difficult to produce compelling journalism that is also critical. I can bring those two components together effectively by using my years of working in the news business and my scholastic knowledge of the field of journalism. In addition to this unique experience - I have an MA from one of China's top universities. 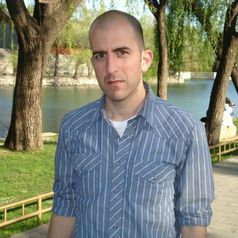 I was at the School of Public Policy & Management at Tsinghua University in Beijing from 2008-10 (I lived in China from 2008-9 and completed my dissertation project from Vancouver between 2009-10). My MA project was on a rural development program in the southwest Chinese mega-city of Chongqing. The opportunity to live and work in China (and on the campus of Tsinghua nonetheless) was one of the most formative experiences of my life. It allowed me to see the world from not just the western perspective that I have grown to recognize here in Canada - but also from a distinctly Asian perspective. The ability to see the world through these spheres has helped me think more critically about journalism, enriching the professional-academic bridge I referenced above. In addition, I speak Mandarin and four other languages (Farsi, French, Spanish and English). I am also learning a sixth language -- Russian. I would like to write about journalism, politics and China-related matters for The Conversation.